Have you ever received an invitation that reads "black tie optional"? 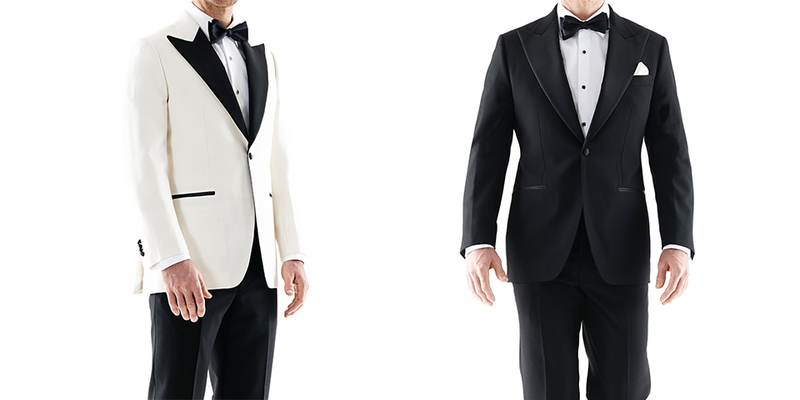 Not only is it confusing, but there is no option: we say black tie all the time. In the past decade there was an odd trend of shying from formality at social occasions, but fortunately it reached its apex and now dressing up rather than down is encouraged. As we mature there's always an occasion of note, whether it's a wedding, an award ceremony, or just a gentleman's poker night. You want to be prepared for such occasions, and if you are you’ll find that you receive invitations to more of them. A dinner suit (or tuxedo if you will) should be hanging in every man's wardrobe and out on high rotation. More than just a suit it conveys sophistication, savoir-faire and an appreciation of refinement. These are not bad things as we're sometimes led to believe. It's cool to be well-rounded and knowing that you are equipped to jump into any given situation or spy mission. If you're starting out with your first dinner suit you should opt for something you know will stand the test of time and will always perform when required. Keep it simple, elegant and to the standard. A dinner suit that is black, discreet and has all the requisite trimmings is a failsafe choice. If, however, you are an old hand at After Five, branch out and add to your eveningwear artillery with dinner jackets of different varieties. It doesn't have to be loud to make an impact, you can really show personality with a blazer tailored to your tastes with high-quality fabrics. Coloured silk with black satin lapels makes a statement, and worn with black smoking trousers adheres to the dress code with a wry little wink. Keep a slew of dinner jackets in your wardrobe to avoid repetition and you will always have the right outfit for the right occasion. Ask your tailor to fit you with the right outfit so the next time you receive an invitation that suggests you wear black tie, considerate it mandatory. Attend formal events without fear, have the confidence to dress up and you'll always be ready to party.